The feature of men's Stainless Steel ring is 8mm of width and 2-2.5mm of thickness. The ring set is BRAND NEW and guaranteed to be in 100% perfect condition.paved with aaa+ clear sparkling agate stonesnickel-free, hypo-allergenic, never- green.safe for sensitive skins. 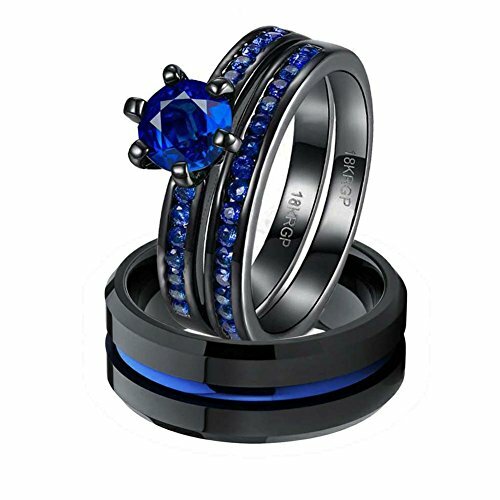 PERFECT RING GIFT: This is the perfect ring gift to symbolize your love on the special days of anniversary, families, friend's, birthday, wife, girlfriend, valentine's day, thanksgiving day and Christmas Day.The Rings will come in a free nice gift box. Ready to give to your partner. You just have to find the right moment and time to present it to your future bride. If you have any questions about this product by LOVERSRING, contact us by completing and submitting the form below. If you are looking for a specif part number, please include it with your message.